February 8, 2019 | Green New Deal ‘Promises’ Dependency! Donald B. Swenson: Born January 24, 1943, Roseau, Minnesota. Graduated H.S. 1961, Moorhead High, Minnesota. Graduated College 1968, Moorhead State University, Minnesota. Designated member of Appraisal Institute (MAI), 1974. Employed with Western Life Insurance Company, 1968 – 71; Iowa Securities Company, 1971 – 73; American Appraisal Company, 1974 – 81. Part-time teacher/valuation consultant/bartender, 1979 – 2008 (taught workshops at Waukesha County Technical Institute, Wi. and Madison Area Technical College, Wi.). 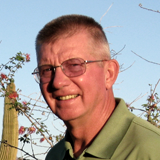 Retired 2008 (part time teacher/blogger), AZ. 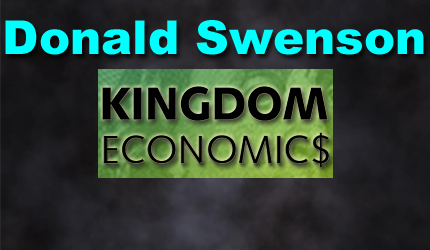 Self educated economist/philosopher/theologian: http://kingdomecon.wordpress.com. Today’s Wall Street Journal had a comprehensive article on the new socialism of Alexandria Ocasio-Cortez and her plan to redo American commerce so that everyone becomes dependent upon government. She has many great ideas for creating a marketplace of ‘green’ commerce but her ideas lead to ‘dependency’ (for the individual). The article in the WSJ explaining her vision for America is called ‘The Socialist That Could’, page A13, February 8, 2019. The Green New Deal would get rid of combustion engines, build charging stations everywhere, upgrade or replace every building in the USA, create new infrastructure, and crisscross the nation with high-speed rail. She wants to produce 100% U.S. electricity through clean, renewable, and zero-emission energy. Alexandria is clear that all this must be done by government…not the private sector. The cost of her ideas runs in the multi-trillions and she maintains that this is not a problem as the Federal Reserve and public banks can create the ‘credits’ for all these projects. Money is now no problem as these cyber digits can be created in unlimited supply to fund her Socialism. We live in a world of money multiplication from mere thought. The new economics of Alexandria is called Modern Monetary Theory (MMT). Alexandria Ocasio-Cortez (AOC) has the support of the democratic left and I presume most of the millennial generation. This Green New Deal will challenge the republican view on government and my sense is that it will grow in popularity as the millennial generation digs into the details. Socialism is here and this will lead to total ‘dependency’ upon a centralized government to run the system (eventually). Will Americans buy into this system? The old concept of self-reliance by the individual will be replaced with a centralized system of reliance on bureaucrats. I fully understand what is emerging for our nation. Socialism is replacing historical Capitalism. The State is replacing the Individual. Dependency is replacing self-reliance. This Green New Deal is likely to grow as we now live in a digital marketplace where central authorities rule over the marketplace. Since money can now be created with the stroke of a computer key, it makes sense that this Green New Deal has legs. Alexandria can serve as the spokesperson for this new centralized system. Her ideas have merit given what is now happening globally. Digital commerce is here along with artificial intelligence and robots. All this means serious change going forward. Historical Capitalism is essentially over! Capitalism is over and digital Socialism is here. The U.N. Agenda 2030 is also part of this picture and AOC has a vision which fits in with these goals for our planet. Prepare for major change starting as soon as 2020. The END of Capitalism is here. The Digital Socialism is replacing historical Capitalism. Personally, I understand why all this must happen. But I also understand that this Green New Deal will not work for the individual who desires Freedom. Personal freedom and self-reliance is what made America Great. Kingdom Economics could be a much better alternative for global commerce if understood. What we need today is a global dialogue on all the alternatives to historical Capitalism. My sense is that most of the young will reject a system of ‘dependency’ when they understand the consequences. The Green New Deal allows for a conversation on all these alternatives. Eliminating money is what Kingdom Economics is all about. A society of freedom could be developed so that ‘dependency’ is avoided. But this can not happen as long as we continue to perpetuate this fake money system. Money is the real problem and those who control our money system must change their worldview so that real freedom, progress, and prosperity can emerge. AOC needs to think in terms of eliminating Central Banks and the fake digital money system IMO. Will she think through the consequences of her Socialism? Will she recognize that her Green New Deal creates total ‘dependency’ upon bureaucrats to run the system? Will she desire a system of monetary slavery for the masses who must live under this system? I think we need a general conversation on where all this is leading. Think for yourself on these issues. Kingdom Economics is much superior to this Green New Deal IMO.